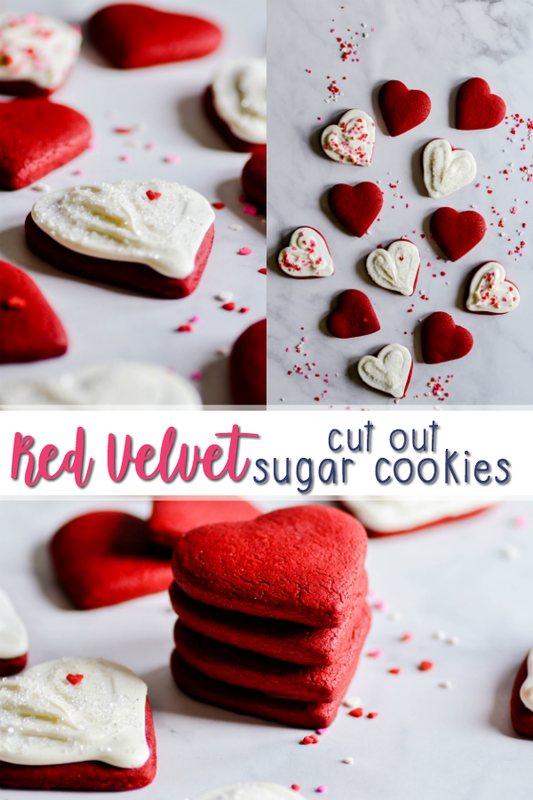 These red velvet cut out sugar cookies are perfect for Valentine's day. Just a few ingredients, and they hold their shape while baking! Use a stand mixer fitted with a paddle attachment to mix all ingredients together until a smooth dough forms. If needed, knead additional flour into the dough by hand until dough is smooth and not too sticky to handle. Roll the dough out on a floured surface. Sprinkle more flour on top before rolling with the rolling pin. Cut out shapes. 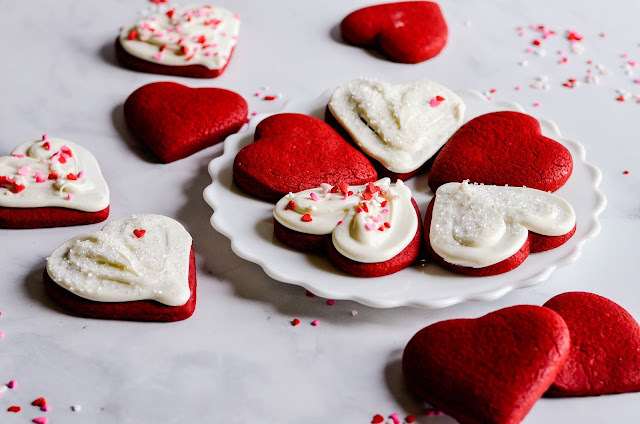 Bake cookies for 9 minutes and let cool completely on the cookie sheet before transferring or frosting.